love, elizabethany: super bowl/football nails! 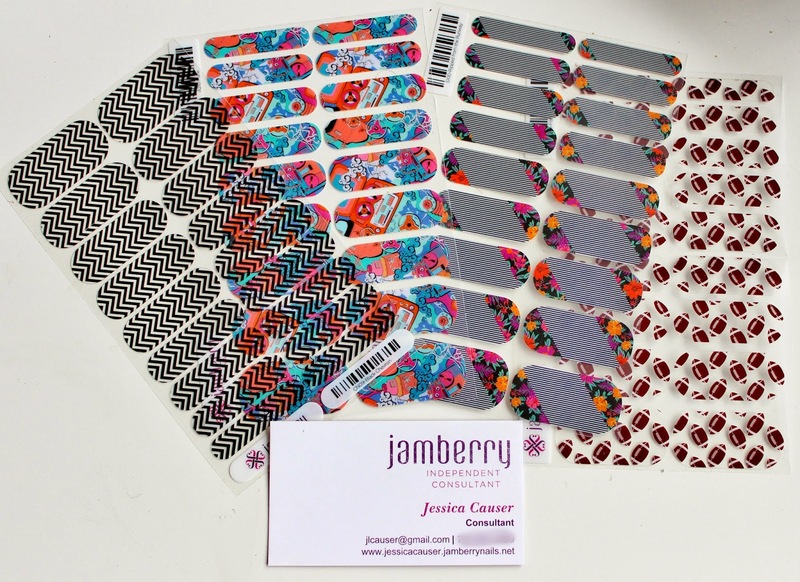 Ever heard of Jamberry nail wraps? Me neither... until a little while ago... and I was super pumped to try them out! As soon as I got them, I realized I had bit all my nails off one drunken night... because of course. I decided to go to the nail salon for the first time in five years and get some acrylics [wow prices have gone up....] so I could make magic happen. Naturally, with the Super Bowl coming up, I had them paint my nails burgundy so I could do a yellow/football accent nail myself! [I don't care if my 'Skins aren't in the game... I still rep them. They come as these little strips that you measure to your nails, peel off, heat up a little bit, and then bond them to your nail. [You can see the instructions video here.] It's definitely easy to do, but mine have a few wrinkles that I assume are just because it's not going to be perfect the first time. Luckily, they're not visible because most of the football wrap is clear. 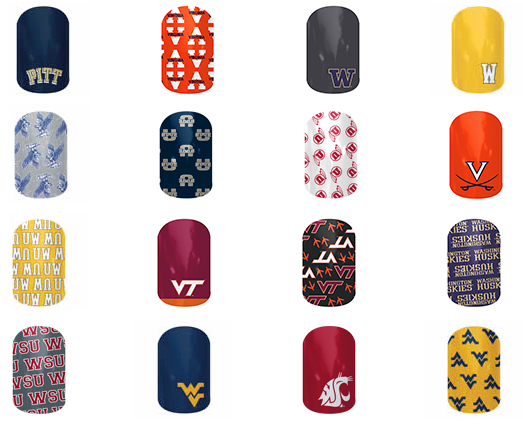 I love that the football and chevron ones are clear backgrounds so that I can put whatever color I want underneath... and when I master these things, the other ones will be awesome to use to cover a whole nail with the quickness and hottness. They even have a ton of college ones! They're supposed to last about two weeks, but since I just put mine on yesterday, I can't confirm that. I will totally update this whenever they do start to look trashy, though. Also cool: They come in so many sizes that you could easily do your toes, too... or just do accent nails and they'll last a LONG time. 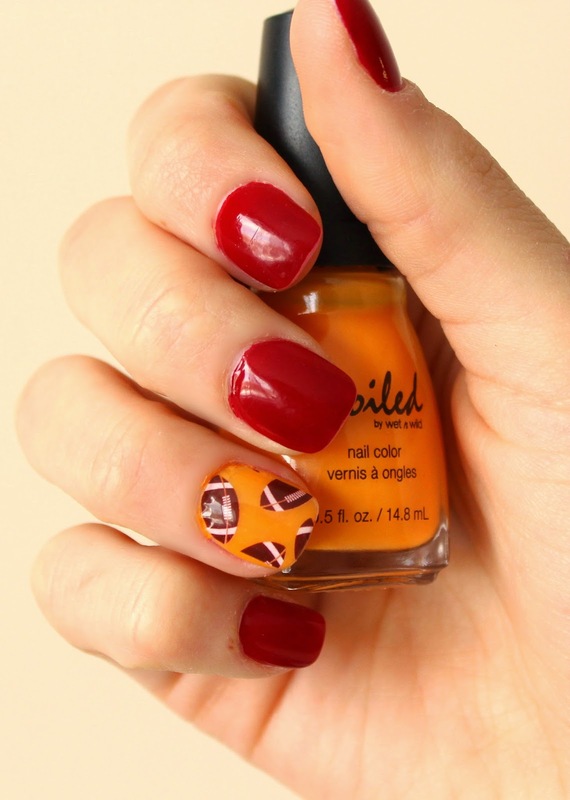 If you wanna try some out [which I think you should since nail art is "all the rage" right now and this is an awesome look that doesn't require an artist or a ton of money] check out this website and Jessica Causer, who gave me these! She also has some fun pics of her nails on her Instagram. And since you know I like sales... she's doing buy 3, get one free! BAM! Let me know if you've ever tried these things! Or just link your pics so we can see them!